Time for recreation: Quite a lot has changed since the beginning of our hotel. Originally, we only had 10 rooms with running hot and cold water. Over the years, these rooms were reconstructed and updated and new ones were added so that we were able to offer our guests an even more pleasant stay with us. We decided, however, to treasure the memory of those first years by using the original wood for picture frames decorating our new rooms. Today, all our rooms are equipped with a TV, balcony, safe and Wi-Fi. The bathrooms are provided with either a shower or, in 3 rooms, a bathtub, bidet and hair dryer. As of recently, all of our rooms have been decked out with parquet flooring. These rooms with 21 to 26 m² are very spacious and additionally equipped with a double couch, which can be used as a sofa bed for kids. Every room also has stylish parquet floors. The bathrooms are modernly equipped and fulfill all requirements. 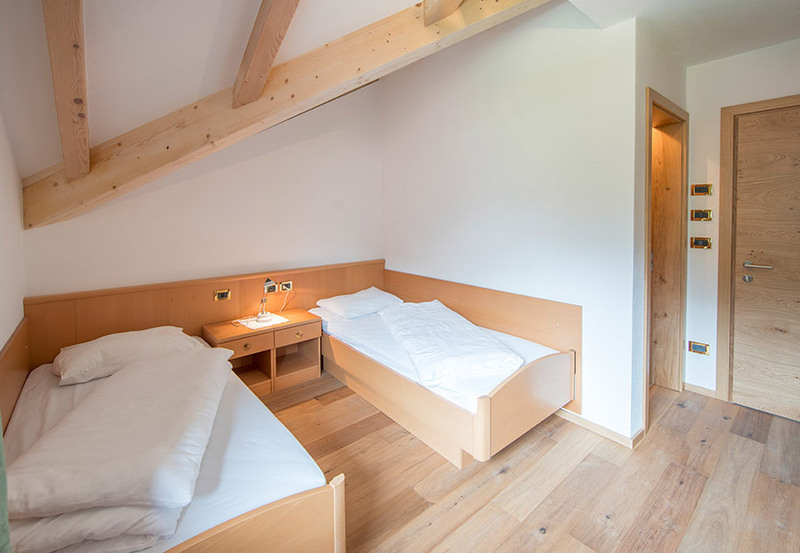 These 19 m² rooms are equipped with either a shower or a bathtub, bidet and hair dryer and are furnished in keeping with the Alpine style. 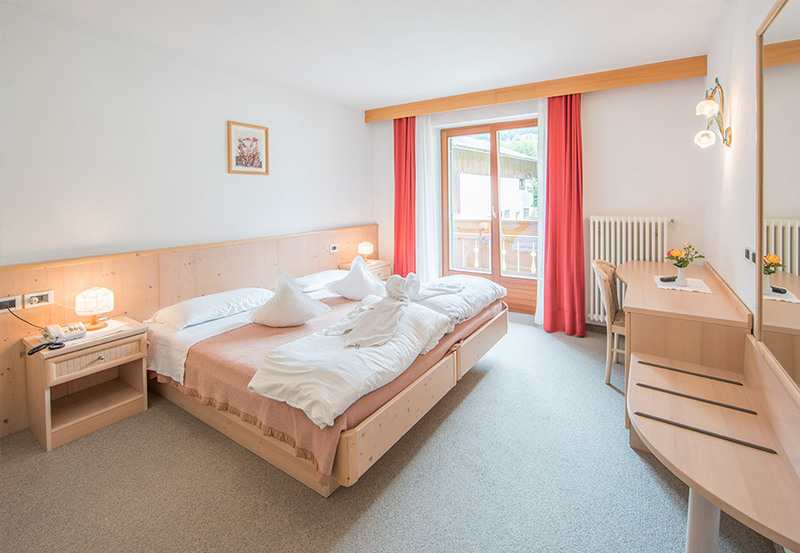 Depending on your preferences, the rooms are available with parquet flooring or moquette. An additional sofa provides even more comfort. 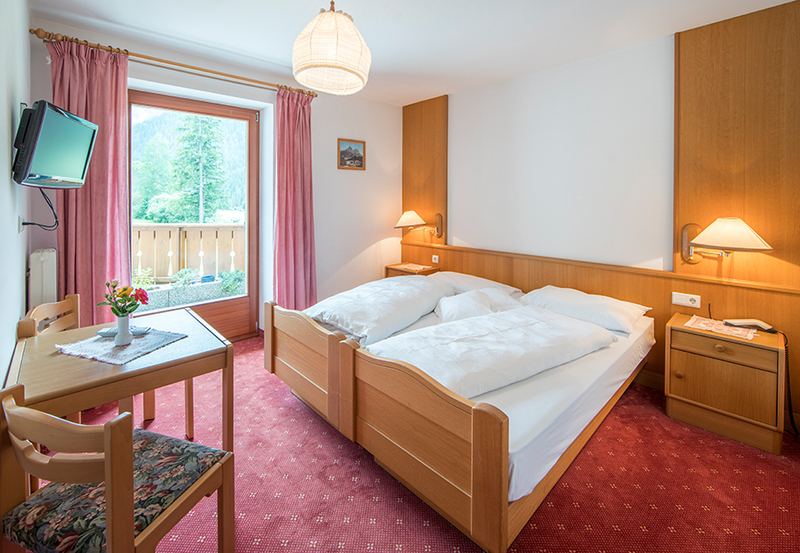 On about 16 m², our guests will find bidet and hair dryer and either a shower or a bathtub. 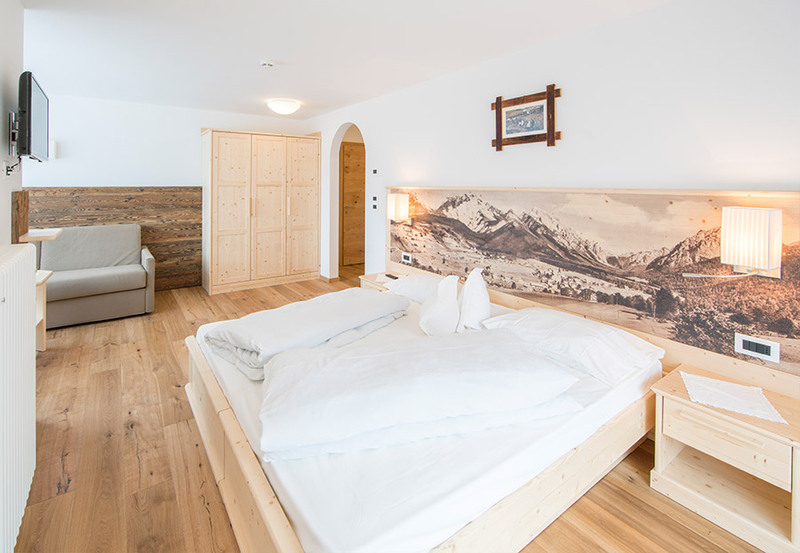 Decorations made out of wood from the original rooms create our typical Alpine atmosphere. Experience recreation and relaxation in one of our 14 m² rooms, equipped with a balcony and a couch. The bathrooms have recently been renovated and provide a bidet, hair dryer and a shower.